Living alone for the first time? University life brings a new amount of responsibility. 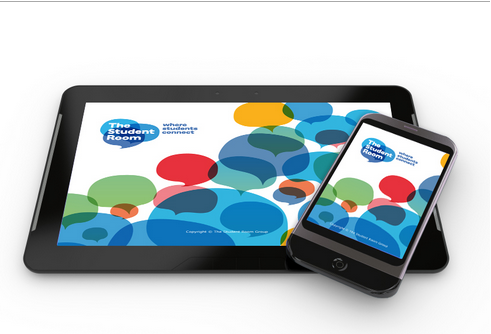 Students suddenly have to manage more aspects of their lives but fortunately, the digital age makes it simple and straightforward. If you have a smart phone or tablet, you can choose between hundreds of apps that will help you keep your life organised. To get you started, I created a list of 4 apps that will hopefully make your life as a student a little bit easier. Never again will you wake to that feeling of complete despair upon the sudden realisation that today is the day to hand in the assignment that you had pretty much forgotten existed. The myHomework app lets you easily keep record of any assignments, including details, due date and priority. And in case the semester is nearly finished but you still forget what room is your Tuesday lecture in (just like I do), the app has a timetable section that stores a detailed schedule of your lectures. The best thing about this app is its ability to send you reminders of looming assignment deadlines, making it a life saver. Despite being aimed at school kids, the myHomework app is perfect for any student and is great if you have troubles keeping track of all your assignments in your head. The Evernote app allows you to create and edit notes and task lists, download documents, and keep audio clips and images in one easy to access place. It’s simple to use and helps you stay organised, save your ideas and improve productivity. The Evernote app has a unique voice recording tool that can be used to record anything from a lecture to an interview. This app is compatible with almost all computers and mobile devices, so you can sync all of your notes across the devices you use. Another great feature of this app allows you to organise your notes by notebooks for easy navigation and use tags to search anything in an instant. I’ve been waiting for an app like this for ages and I will never buy a notebook again, ever. BigOven My list of useful apps for students cannot be completed without a cooking app. 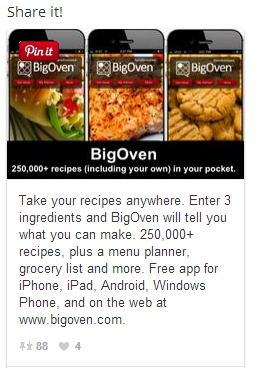 With over 250,000 recipes, the BigOven app is the most complete cooking tool. The app is designed to assist even those with only minimum cooking skills and its leftovers feature is perfect for students/ cooks on a budget – you can just enter ingredients from your fridge to find out what you can make with them. Forget the cookery books, this is all you need.